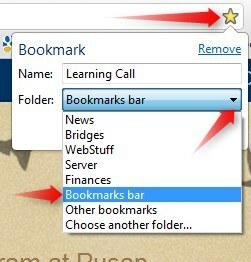 The bookmarks bar in any browser can help you get to your favorite sites much more quickly. First make sure you see the bar by clicking the wrench icon on the upper right. 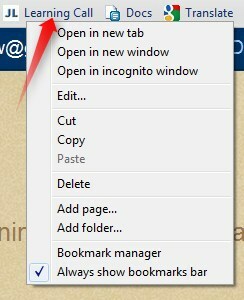 Then click 'Tools' / 'Always show bookmarks bar'. then, when you are on a website you'd like to add to your bookmarks bar, click the yellow star in the upper right, select Bookmarks bar, and 'Done'. You can edit you bookmark any time by RIGHT clicking it and choosing 'edit'.